Space games have managed to squeeze a fair amount of money out of the vast nebula of crowd-funders. To some, it might even appear to be a revival. 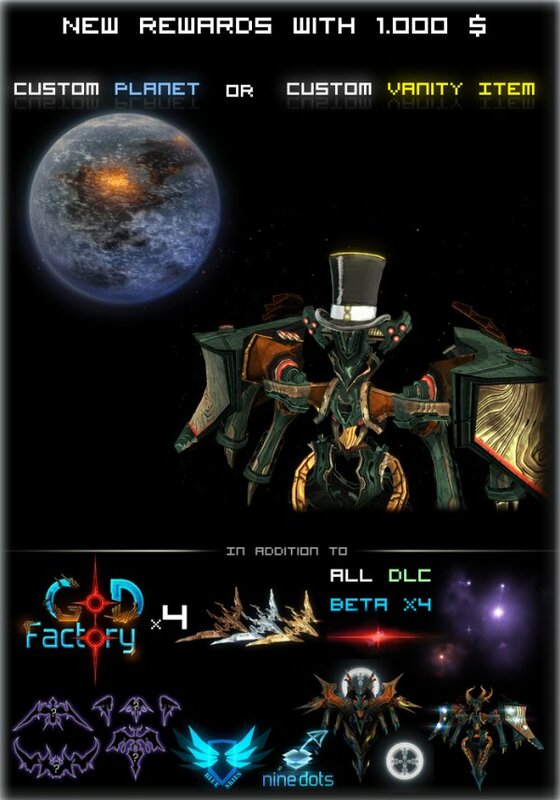 But GoD Factory: Wingman is proving glorious 4 vs 4 space battles and ships wearing top hats are not a guaranteed cash cow. Maybe other games are sucking up the backers, but with 24 hours left and only less half of the $70,000 acquired, it doesn’t look like it’ll make it. The small glimmer of hope they have left is if you play the recently released demo and decide it must be backed. Give it a go, because it is rather slick. Ah well, at least you’ll get to play it. The movement reminded me of Zone Of The Enders, and it’s a fun blast. There obviously aren’t many (or any) people playing online, but you can start a local server and fly around. I think the camera is a bit too tight, and it’s best played with a joypad to knock out the movement combos more easily, but it’s also willingly bonkers: the capital ship that hovers over the battlefield like a disapproving parent is shaped like a demonic lady, and the default ship I selected is shaped like some sort of winged angel. It has a face! I just shot things with my lady-faced ship, but there’s a heap of customisation options that I’ve yet to explore. If you play it and you find an interesting combo of parts, show them off. Tagged with GoD Factory: Wingmen, Kickstarter, Nine Dots Studio.